University of Campania “Luigi Vanvitelli”, Aversa (CE), Italy. Copyright: © 2017 Catauro M, et al. This is an open-access article distributed under the terms of the Creative Commons Attribution License, which permits unrestricted use, distribution, and reproduction in any medium, provided the original author and source are credited. Biomaterial science studies the interactions that occur between materials and tissues in order to understand the mechanisms that lead to material integration in biological systems for medical purposes. It is a field that requires a multidisciplinary approach, integrating materials science, chemistry, biology, engineering and medicine. Its development arose out of the requirement for new materials with high performance in terms of tolerability and integration capability that can be used to replace or restore function to a body tissue. Despite advances in the biomaterials field, at this point in time a satisfactory combination between the properties of the materials (mechanical, chemical and tribological) and their biocompatibility has not yet been achieved. This is the cause of early failure of implants, which necessitates subsequent replacement of prosthetic devices, especially in young patients. 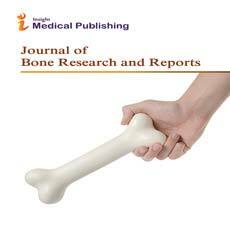 Glass-ceramics are an important family of materials proposed for bone repair and substitution. They have the capability to bond with living bone by forming a hydroxyapatite layer with a composition similar to that of the mineral phase of bone . The first bioglass (45S5) was discovered in 1971 by Hench at al. . Afterwards many other glasses with various compositions were explored . Kokubo et al. developed Apatite-Wollastonite (A-W) glass-ceramics which retains a high mechanical strength in vivo for a long period and is able to bond to living bone in a short space of time. Moreover, published literature  shows that the preparation method, in addition to the material composition, also affects the resulting structure and, thus, the biological properties of the materials obtained. An ideal technique to prepare bioglass is the sole-gel method, a versatile synthesis technique used to produce glasses and ceramics at low temperatures. The process starts when water is added to a solution of metal alkoxide precursors in alcohol. The hydrolysis of the metal alkoxide and the polycondensation of the oligomers formed cause a transition of the system from a mostly colloidal liquid (‘sol’) into a solid ‘gel’. By drying the obtained wet gel, it is possible to prepare xerogels (by exposure to low temperatures) or aerogels (by solvent extraction under supercritical conditions) or dense ceramic and glass by means of a further heat treatment at higher temperatures. Glasses and ceramics synthesized via the sol–gel method exhibit higher bioactivity and biocompatibility than materials with the same composition but prepared using other techniques . Indeed, sol–gel-derived glasses have an inherent mesoporosity that gives them a larger surface area and degradation rates potentially more rapid than melt-derived glasses of similar composition. Moreover, the presence of –OH groups on their surface stimulates hydroxyapatite nucleation, promoting their easier Osseo integration. Sol-gel glasses and ceramics have been proposed for many biomedical applications, such as artificial dental roots, bone regenerative materials, coatings to improve biological performance of bio inert implants and drug delivery systems [7-12]. In particular, silica, calcium silicate and calcium phosphate glasses and ceramics are attracting interest due to their ability to stimulate osteogenesis via both their dissolution and degradation products . Indeed, soluble silica and calcium ions are able to activate and stimulate osteoprogenitor cells at the implant site, promoting bone tissue growth. These materials have also demonstrated the ability to form hydroxyapatite on their surface in vitro [13,14]. However, the brittleness of sol-gel materials limits their use in several load-bearing applications. To overcome these problems, many strategies have been proposed. The sol-gel method is easily coupled with different coating techniques like spray coating, spin coating and dip coating for the surface modification of bio inert implants with the aim of inhibiting wear, reducing corrosion and improving biological properties, as bioactivity and biocompatibility . This allows the optimization of surface properties while retaining favourable bulk properties of the bio inert implants used. Recently, polymerbased composite materials, consisting of poly (ε-caprolactone) in which inorganic sol-gel fillers are embedded, have been proposed [16,17] to develop composite 3D scaffolds. This strategy allows the mechanical performance of the neat PCL to be improved and, at the same time, advantage to be taken of the well-known bioactive features of inorganic sol-gel particles. Moreover, the low processing temperatures of the sol-gel method allows thermo labile molecules (e.g. polymers, drugs, biomolecules, etc.) to be entrapped in the inorganic glassy matrix, making the sol-gel processes an ideal technique to prepare organic-inorganic hybrid (OIH) materials. The leading idea in their development has been to combine the favourable properties of each individual component forming the hybrid, and at the same time attempting to decrease or eliminate each component’s drawbacks through a synergistic effect, thus resulting in a generation of new materials with new properties. Several OIH systems, consisting of an inorganic matrix in which a polymer and a drug were encapsulated, have been proposed as drug delivery systems. In this case, the polymer displays a dual function: improving the mechanical properties of the glassy matrix and modulating the release kinetics of the drug by the sol-gel matrix . Kokubo T (1991) Bioactive glass ceramics: properties and applications. Biomaterials 12: 155-163. Hench LL, Splinter RJ, Allen WC, Greenlee TK (1972) Bonding mechanism at interface of ceramic prosthetic materials. J Biomed Mater Res 2: 117-141. Radev L, Hristov V, Michailova I, Fernandes MHV, Salvado IMM (2010) In vitro bioactivity of biphasic calcium phosphate silicate glass-ceramic in CaO-SiO2-P2O5 system, Process. Appl Ceram 4: 15-24. Kokubo T, Shigematsu M, Nagashima Y, Tashiro M, Nakamura T, et al. (1982) Apatite and wollastonite containing glass-ceramics for prosthetic application. Bull Inst Chem Res 60: 260-268. Vallet-Regí M (2001) Ceramics for medical applications. J Chem SocieDalto Transact pp: 97-108. Gupta R, Kumar A (2008) Bioactive materials for biomedical applications using sol-gel technology. Biomed Mater 3: 034005. Catauro M, Papale F, Roviello G, Ferone C, Bollino F, et al. (2014) Synthesis of SiO2 and CaO rich calcium silicate systems via sol-gel process: Bioactivity, biocompatibility, and drug delivery tests. J Biomed Mater Res A 102: 3087-3092. Vallet-Regi M, Balas F (2008) Silica materials for medical applications. Open Biomed Eng J 2: 1-9. Catauro M, Bollino F, Papale F, VecchioCiprioti S (2015) Investigation on bioactivity, biocompatibility, thermal behavior and antibacterial properties of calcium silicate glass coatings containing Ag. J Non-Cryst Soli 422: 16-22. Midha S, Kim TB, Bergh WVD, Lee PD, Jones JR (2013) Preconditioned 70S30C bioactive glass foams promote osteogenesisin vivo. ActaBiomater 9: 9169-9182. Catauro M, Bollino F, Renella RA, Papale F (2015) Sol-gel synthesis of SiO2-CaO-P2O5 glasses: Influence of the heat treatment on their bioactivity and biocompatibility. Ceram Internat 41: 12578-12588. Catauro M, Nunziante SP, Papale F, Bollino F (2015) Preparation of 0.7 SiO2•0.3CaO/PCL hybrid layers via sol–gel dip coating for the surface modification of titanium implants: characterization, bioactivity and biocompatibility evaluation. J Sol-Gel Sci Tech 76: 241-250. Catauro M, Bollino F, Papale F, Gallicchio M, Pacifico S (2015) Influence of the polymer amount on bioactivity and biocompatibility of SiO2/PEG hybrid materials synthesized by sol-gel technique. Mater SciEng 48: 548-555. Catauro M, Papale F, Bollino F (2016) Coatings of titanium substrates with xCaO•(1-x)SiO2 sol-gel materials: characterization, bioactivity and biocompatibility evaluation. Mater SciEng 58: 846-851. Catauro M, Papale F, Bollino F (2015) Characterization and biological properties of TiO2/PCL hybrid layers prepared via sol-gel dip coating for surface modification of titanium implants. J Non-Crys Solid 415: 9-15. Santis RD, Gloria A, Russo T, Amora UD, Antò VD (2013) Advanced composites for hard-tissue engineering based on PCL/organic-inorganic hybrid fillers: From the design of 2D substrates to 3D rapid prototyped scaffolds. Poly Comp 34: 1413-1417. Russo T, Gloria A, Antò VD, Amora UD, Ametrano G (2010) Poly(ε-caprolactone) reinforced with sol-gel synthesized organic-inorganic hybrid fillers as composite substrates for tissue engineering. J ApplBiomaterBiomech 8: 146-152. Catauro M, Bollino F, Papale F, Piccolella S, Pacifico S (2016) Sol-gel synthesis and characterization of SiO2/PCL hybrid materials containing quercetin as new materials for antioxidant implants. Mater SciEng 58: 945-952.